There is a monster of a heat wave hitting NYC right now* which I have to admit is cramping our style a bit. There are all these great fruits and berries hanging out in our local farmer's markets and grocery stores that I want to bake into pies and various other treats but all my will to turn on that oven has been... well to be honest... punched in the face. 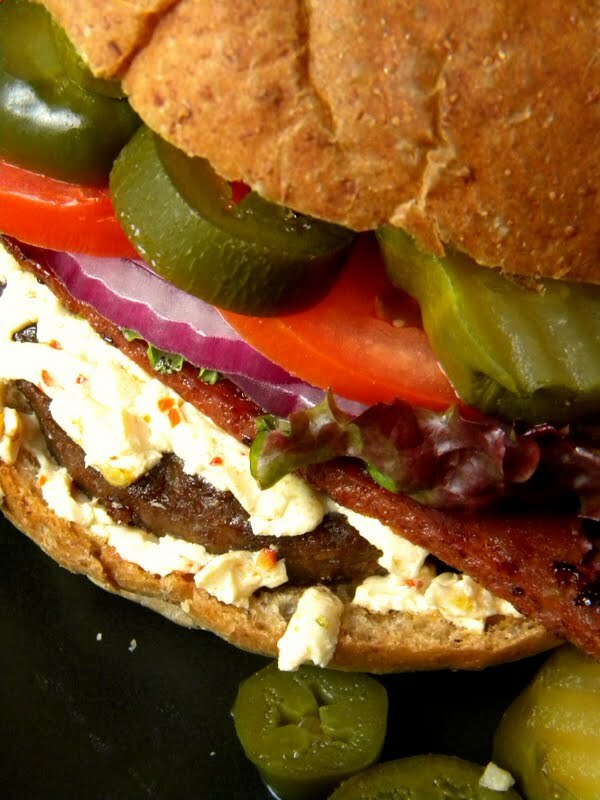 Gardein Beefless Burgers - If you haven't had these yet you need to try them! They have to be the best vegan burgers we've had in forever. Sorry Boca - but no one forced you to change your vegan burgers. We still love you Boca and plan on eating you regularly but really I think we are prepared to go on record that The Shannons love Gardein Beefless Burgers more than sunshine (especially right now). Lightlife Smart Bacon - It's no secret we love a great fake bacon. We like to mix it up and use smokey tempeh sometimes but sometimes it's nice to have something really crispy and super smokey. That's when you want smart bacon. Daiya Pepperjack Cheese - I don't think I need to tell you how awesome Daiya's vegan cheeses are but I feel like I should let you know as a friend that if you haven't tried the pepperjack yet... you're missing out. 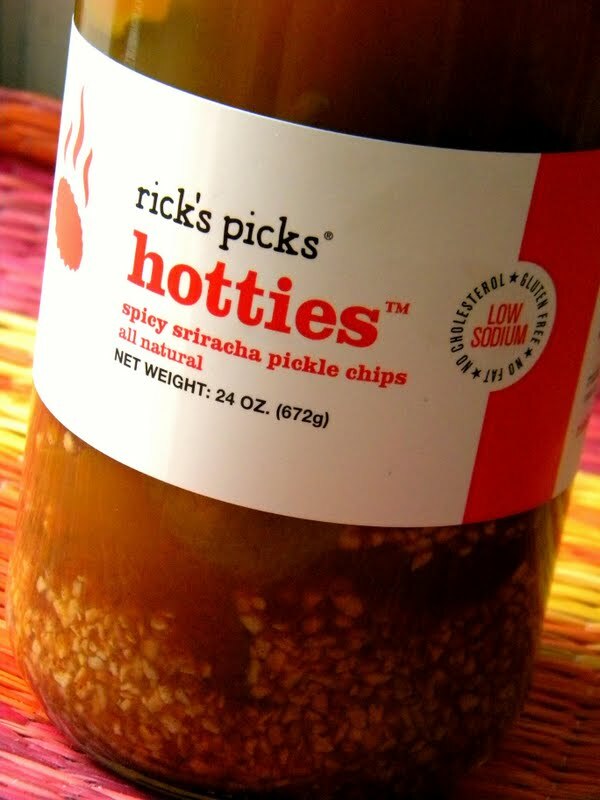 Rick's Pick Hotties (spicy sriracha-habanero pickles) - We found these last weekend at the farmer's market and have fallen in love with them. I mean pickles made with sriracha. Here's some great news for you folks not in NYC - you can order them online! About now, your elementary schooling has kicked in and you're saying "Um, that's only 2 alarms." If you have any more suggestions - Please share! We'd love to hear about hour favorites. So ask yourself... Are you ready see how many alarms you can handle? * Seriously everyday the cats look at me and ask : "Mommy why did you bring us to this bad place? I'm melting." - with their little gestures of course - not vocally. I haven't been driven insane by the heat yet. OMFGGGGGG this looks so good. i need to figure out how to get my hands on some rick's picks! So we got the above comment saying there was fish extract in the pickles. So I went to check out the website and it does in fact say that there is fish extract - which is weird because the jar doesn't list fish extract. Either way - we can't endorse these pickles anymore. BOOOO. Vegan bacon cheeseburgers? You just made this Jew very happy. Too bad I don't have access to any of these products. Ya know - how processed it is kinda depends on what product you are using. Like Tempeh is a bacon substitute that is much less processed than Smart Bacon and there are whole grain veggie burgers out there. The same can be said about salt. Many products are getting better about finding more natural flavors to replace salt. Daiya vegan cheese is a good substitute for folks who are worried about too much soy because it is soy free but it is processed a lot. There are cashew cheeses out there that are better for you (as far as being processed) but won't melt the same way. I guess for me - even with all the processing - the amount of fat and other grossness skipped by using meat and cheese substitutes - not to mention the cruelty that happens in the making of those products - makes the "fake" stuff more appealing to me.